Obviously, though once a technological game-changer, BitTorrent is no longer a favorite of the Internet industry. Its rebirth backed by Tron drew a period to its past decade of adversity. Now in a new jack of the classical Internet, Tron is also turning a new page. 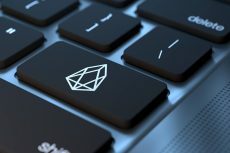 A week before Tron’s mainnet launch, the news that Justin Sun and his blockchain startup acquired the developer of BitTorrent, a decentralized P2P protocol, for USD$140 million drifted across the Pacific. For a long time, BitTorrent has been looking for a buyer. It finally made the decision to join Tron, a star project in the rising tide of blockchain technology. There are always people in this world who are fighting for a nation of their dreams—a liberal, equal, democratic, self-governed nation that no longer bows to authoritarianism or cheats the young or the old. This is also true of the world of the Internet. Here are also revolutionary geeks who never stopped decentralizing the web. In 2004, a new mode of decentralized download frenzied global Internet users. BitTorrent introduced the P2P network as a new way of sharing and storing data. Different from the server-based mode, with BitTorrent everyone can provide other terminals with downloadable data, meaning that the more people exchange and share via BT, the faster the download speed. This makes the sharing and distribution of large files (e.g. videos) much easier. BitTorrent marks a milestone in the development of classical Internet when the flow of videos began to overtake audios. BitTorrent is undoubtedly a pioneer of P2P data sharing, storage and backup under a distributed network structure. More importantly, it created a new perspective for the underlying layer that evoked new understandings and conceptions of the Internet. However, BitTorrent’s open-source protocol and copyright issues with shared files soon exposed more problems. Content creators and publishers attacked P2P technology represented by BitTorrent for its security issues, hacker attacks, private information leakage, policy restrictions, profit distribution and copyright issues. In addition, with the rise of video websites, P2P transmission’s occupancy of Internet flow dropped continuously. Although BitTorrent is still home to at least 170M monthly active users and 40% of global Internet flow, the commercialization of its technologies remains a great challenge. The founder of BitTorrent believes that a company with a great tool should do something greater. 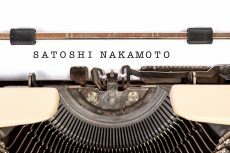 In the wake of the Bitcoin boom, blockchain technology based on distributed P2P network, encryption algorithm and consensus sparked hope in the classical Internet. The asymmetrical encryption algorithm of blockchain technology enables protection of privacy while establishing direct P2P connection. Any third parties cannot engage in P2P interaction. Data decentralization is realized by placing the storage and calculation of data in users’ own hands. Meanwhile, the use of smart contract allows every contributor to share interest peacefully and fosters consensus of data on the application level, which strongly backs the legitimacy of a decentralized web. BitTorrent’s official website also shows the direction it is heading. It aims to realize higher mobility of data. It wants to allow content creators to profit from their creations and users to be able to jointly construct the ecosystem in ways they love, with consensus on contents shared. It does seem that BitTorrent will find its best ally in the blockchain industry. Intrinsic compatibility draws BitTorrent and Blockchain together. It is said that the TRON Protocol, one of the largest blockchain-based operating systems in the world, offers scalable, high-availability, and high-throughput support that serves as the foundation for all decentralized applications in the TRON ecosystem. The Protocol also uses an innovative, pluggable smart contract platform to improve compatibility with Ethereum smart contracts. TRON holds a vision of establishing a global free entertainment system and decentralizing the web. A generous USD$140 million payment not only lifted BitTorrent out of its struggles, but also signals a new attempt to the classical Internet and the blockchain industries. This huge acquisition, yet another big move since TRON declared independence, caused a great stir in the blockchain industry where excitements crop up one after another. 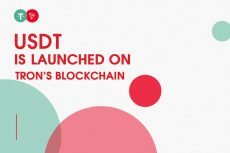 Technologically, joining hands with BitTorrent will definitely strengthen TRON’s distributed underlying network. It is learnt that BitTorrent will provide help on the storage layer of the TRON protocol to improve its overall performance and stability. In essence, the marriage of BitTorrent’s technology and TRON’s blockchain technology will apply, through the joint construction of a secure cloud computing database storage, BitTorrent’s technologies to where real commercial value can be created. This collaboration will also bring to the fore the strengths of deploying strong underlying protocols such as cloud storage, distributed download, and content distribution on TRON’s public blockchain. A highlight of the acquisition is that BitTorrent’s 100M+ users are now TRON’s. In fact, the two companies have more users than any other player in their respective fields. It is the 170M+ monthly active users that made BitTorrent one of the best performing protocols based on P2P technology. By TRON’s declaration of independence on June 25, there were already over 1.2M TRX holders worldwide, outnumbering any other token holder community. The influx of 100M+ users further consolidates the user base of TRON’s ecosystem and injects vitality into its community. For one thing, TRON’s ecosystem fulfills the long-existent needs of BitTorrent users. With TRON‘s incentive plans, these users will be able to recognize its values and foster stronger consensus, which will encourage them to become TRX holders. The thus rosy outlook of TRX will expectedly result in satisfactory performance despite a sluggish market, securing its place within the top 10 and bringing it closer to the 6th place. For another, driven by vested interest and shared values, not only will BitTorrent content contributors be propelled to engage actively in community development, but also client acquisition cost and the cost of user activity can in turn be significantly lowered. In this way, more contribution can be made to the establishment of a global free entertainment system, lowering the threshold of the final commercialization. It not only excited the youthful TRON, but also demonstrated to the blockchain and the traditional Internet industries how 1+1>2. As we all know, embattled by user issues and high flow costs, dividend of the traditional Internet is no longer intact. It is desperately in need of a new incentive mechanism to restore vitality. The token economy based on blockchain technology is approaching satisfaction. Its pluralistic compound ecosystem features sustainability and recyclability, enabling global participants to engage in R&D and maintenance wherever they are. Community users play a key role in the development of the ecosystem, taking the initiative to communicate and transform. Once they share the same values, user engagement can grow at an unexpected rate. All of these could not be possible in the classical Internet. 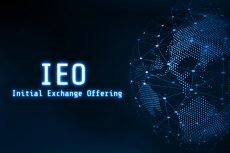 The traditional Internet needs to transform or optimize the existing business model with token economy; the blockchain startups are eager to pursue mature technology, user base and commercial genes of the traditional Internet in the exploration and development stage. desire. Therefore, instead of antagonism, the two shall maintain openness and collaboration in a coexisting world, thus building up energy for the upcoming large-scale commercialization. TRON’s acquisition of BitTorrent has provided another perspective for the combination of traditional Internet and blockchain industry, which may be recorded as a classic case of the blockchain company’s acquisition of traditional Internet corporation in blockchain history.